Excellent construction, perfect welding, flawless powdercoating are hallmarks of every HOLAN product. 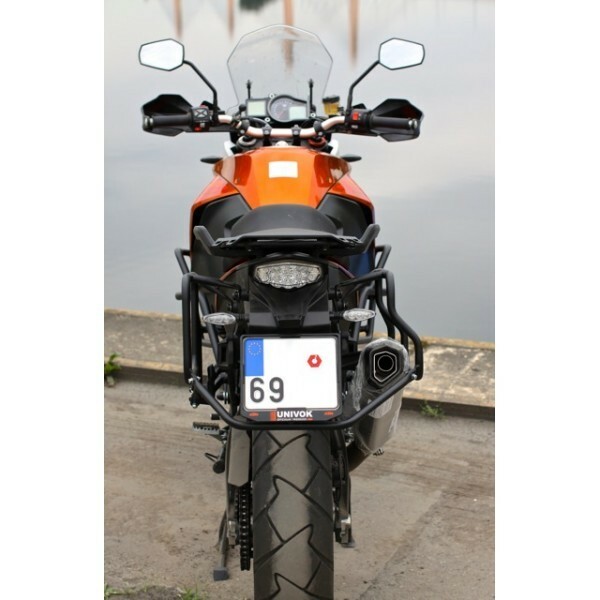 Tubular steel Pannier racks for New KTM 1190Adv/R. The rack attaches at existing frame points on the bike and does not require any drilling or cutting to install. Holan's tough, cross-braced rack system acts like an additional subframe, strengthening the rear of the bike. And in some cases acts like a rear crashbar. Tested by hundreds of off-road travelers. Racks only, including hardware to attach to the motorcycle.